Independence, Ohio, July 29, 2015: Merrymeeting Group, owner of a portfolio of franchise networks, is proud to be recognized by Entrepreneur Magazine again in 2015 as a leading provider of affordable franchising opportunities. Merrymeeting Group’s franchise brands including Computer Troubleshooters, CPR Cell Phone Repair and Sunbelt Business Brokers, appear on Entrepreneur Magazine’s August 2015 list of 87 Business to Start for Less than $50K. Entrepreneur Magazine annually publishes its Franchise 500 list that ranks the top franchising systems based on a combination of factors including network size, growth, financial strength and stability. The Franchise 500 list is subsequently analyzed for the most affordable franchise start-ups that are available for less than $50,000. Merrymeeting Group is proud to have three of their franchise systems, CPR Cell Phone Repair, Computer Troubleshooters and Sunbelt Business Brokers, included on the list. Merrymeeting Group’s brands are consistently ranked within Entrepreneur Magazine’s Franchise 500 as well as their affordable franchise list. “While it is great to have so many of our brands recognized for their affordability, it’s more impressive that multiple brands are also ranked #1 in their respective industry categories. Offering affordable industry-leading franchise opportunities is one of the reasons Merrymeeting Group has been so successful,” added Josh Sevick. With 8 franchise brands and nearly 2000 global franchise locations, Merrymeeting Group developed significant efficiencies and expertise in franchise system management. The resulting benefits of Merrymeeting Group franchise platform range from highly effective marketing and operational capabilities to sizable administrative economies of scale. These advantages enable Merrymeeting Group to provide franchisees with great opportunities to grow healthy franchise businesses. Entrepreneur Magazine is a top rated American monthly publication that presents content focusing on entrepreneurialism, small business management and business opportunities. 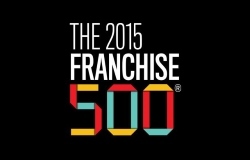 In 2015, Entrepreneur Magazine published their 36th annual list of the top 500 franchises. This annual listing garners widespread attention with their website receiving more than 6,000,000 unique visitor each month. Merrymeeting Group was founded in Cleveland in 2001. Since its inception, Merrymeeting Group has focused on the acquisition and development of intellectual property driven businesses in the franchising, technology and B-To-B service sectors. Merrymeeting Group’s portfolio includes a diverse group of interrelated businesses focused on building a supportive network of industry expertise with specialties ranging from franchise companies to software and business services. The strength of the portfolio lies within its ability to create strong, inter-connected business networks. Currently included in Merrymeeting Group’s portfolio of businesses are the following: Belong Suite; CPR Cell Phone Repair; Computer Troubleshooters; Geeks On Call; Frontier Adjusters; Inspect-It 1st; MTO Clean; Pro Energy Consultants, Staff Trak; and Sunbelt Business Brokers.